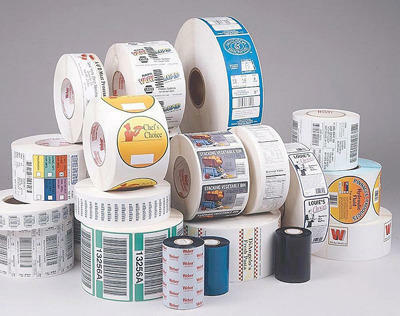 Roll form labels, pharma labels, FMCG labels, filmic labels, lubricant labels, point of sale labels, barcode labels and pesticide labels., Roll labels, promotional roll labels, printed roll labels, cosmetic labels, custom roll labels, metalized labels, foil labels, PE labels, PE stickers, PP stickers, PP labels and pharmaceutical labels. With the assistance of our team of professionals, we are presenting our clients a broad array of Multi Colour Self Adhesive Labels. Designed by our skilled professionals using high quality raw materials as per the set industry standards, these labels are available in variety of colors, finishes, sizes and patterns. Well-recognized for their excellent finish, long lasting shine, tear resistance and durability, clients can avail these labels from us at industry leading prices. Self Adhesive Sticker Labeling Machine We are indulged in manufacturing and supplying fine quality Labeling Machines, Packaging Machinery and Automation Systems . These are developed from top notch techniques and are known for better service lives, corrosion and weather resistance and strength. We charge reasonable rates . Our Printed Self Adhesive Labels are used for promotional purpose. 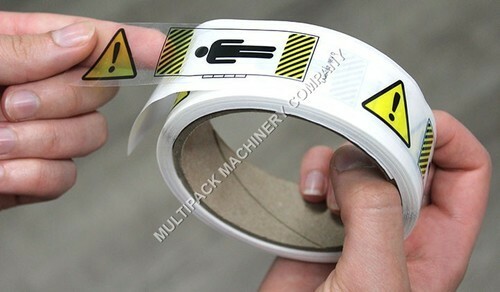 Printed Self Adhesive Labels are used as a protective medium. 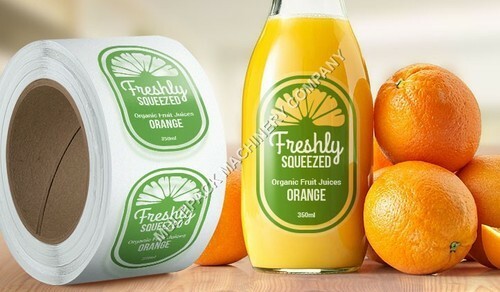 These Printed Self Adhesive Labels can easily resist rough handling and can be removed quite easily when required. We are also offering customized range of Printed Self Adhesive Labels as per client’s choice. we manufacturer specially for pharmaceutical labels – self adhesive label rolls for ampoule, vial and bottle self adhesive label rolls supply to syrup bottle , oral liquid bottle , dry powder vials, suspension bottle labels and labeling pharmaceutical and healthcare products , nutraceuticals labels for bottle and jar nutrition ,protein powder jar labels. pharmaceutical products require a lot of care and control in manufacture. This means that every part of the pharmaceutical drug or the packing of the product must be carefully planned and monitored, this is done so that the end users get maximum value for their money and a process of trust building is founded. We at multipack labels, understand and value our position as a responsible pharmaceutical labels manufacturer in india. This implies that we give in our best facilities and use our infrastructure so that the pharmaceutical processes may be enhanced and the value of the product may be upheld. Our range of labels for the pharmaceutical industry, include special features such as security labels, hologram attributes, specialty inks and other features in security through labels, which help in maintaining exclusivity of the product and cut down the risk of counterfeit. with our extensive experience as a pharmaceutical labels manufacturer in india, we at multipack labels realize that the pharmaceutical products demand quality in labels that differ from the regular labels. In order to be able to fulfill this specific need, we ensure that the gumming for the labels is adequate enough for it to withstand even extreme cold conditions. The ink used for the labels is also of a quality that matches the pharmaceutical standards and gives our clients a re-enforcement to trust in our products more than any other manufacturer. The manufacturing done in our units is done in hygienic and clean environments, that are air conditioned, creating a perfect setting for clean manufacturing. This is the reason why we stand as stalwarts in the industry and command trust and respect from our customers, compelling them to come back to us for every order. we also export pharmaceutical labels to several countries. zero error printing - multipack labels is the first pharma label manufacturer in india to have 6k camera to detect even a dust particle in microns on the label layer or the liner layer thus guaranteeing an error free text printing. no core dust on labels - multipack labels is the first pharmaceutical labels manufacturer in india to have automatic core cutting machines which ensures zero loose core dust on labels or silicon liner. Self adheisve sticker label rolls for Ayurvedic health, skin care and hair care products , food items, skin care products like soap, shampoo, skin cream, Hygiene related product and health products like the medicines based on Ayurveda labels rolls supply as per customer requirements. Multipack Labels is one of the leading cosmetic and healthcare Label manufacturing companies in India. We have become a reputed company by manufacturing and supplying Transparent Label that are in compliance with the industry standards. These Transparent Labels are highly acknowledged by the industry experts for their brilliant designing and precise uses. We assure timely delivery of quality tested Transparent Labels, as customer’s time is always precious for us. 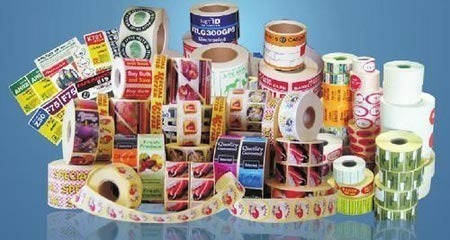 We are manufacturing and exporting a wide range of Self Adhesive Sticker Label for Vegetable Oil Industry. These Automatic High Speed Flat Bottle Double Side Self Adhesive(Sticker) Labelling Machine is highly acclaimed for its features of smooth operations, optimum performance, low maintenance and long service life. Looking for “Self Adhesive Labels ,Sticker label Rolls”?